About to graduate from high school, quivering on the edge of adulthood, Dana, Avra, and Emil are locked in an intricate dance of commitment, desire, and promises. Dana, investigating the enigmatic world of bees, is ready to pursue her education as a science writer. Avra is longing to bolt for freedom. And Emil… well, Emil is keeping his own counsel. No one doubts that Avra is the queen of this tiny hive. But queens can be demanding, and when royalty oversteps its bounds, a revolution may occur. For when the lines of love and loyalty cross, they make a point as sharp as a sting. 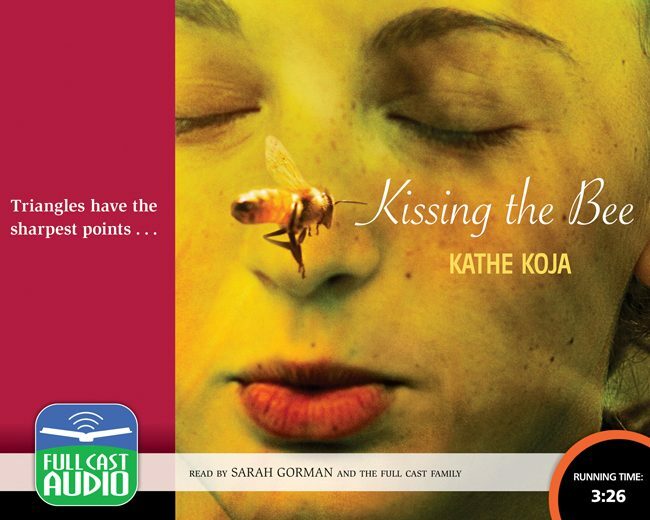 Praised by Publisher’s Weekly for its “spare and haunting” prose (starred review) and lauded by Booklist for capturing “first love’s exquisite, earth-shattering joy” (starred review) Kissing the Bee mixes honey with venom in this grippingly romantic recording.